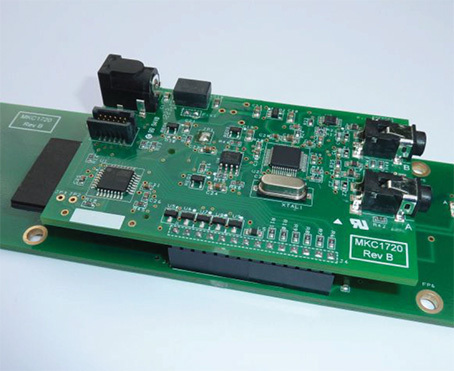 A recent project that MKC completed in record time integrated an mp3 decoder within a membrane keyboard front panel to provide a high quality switchable stereo output locally decoded from audio files stored on an sd card. 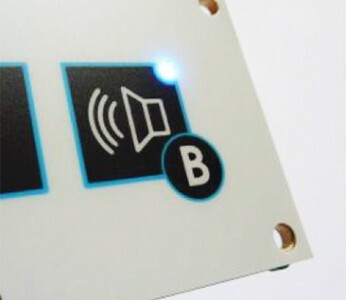 If your project has limited visual I/O or processing, this solution can enable high quality audio to be generated from easily accessed . Mp3 files stored on an SD card. The DSP hardware processing the c ompressed audio files in real time, while freeing the control processor for other tasks. As files are stored on a standard SD card, generating/editing/updating (for instance for other language variants) is a straightforward task. Development is speeded up using this proven hardware which has been through CE certification. manufactured in groups of 4. 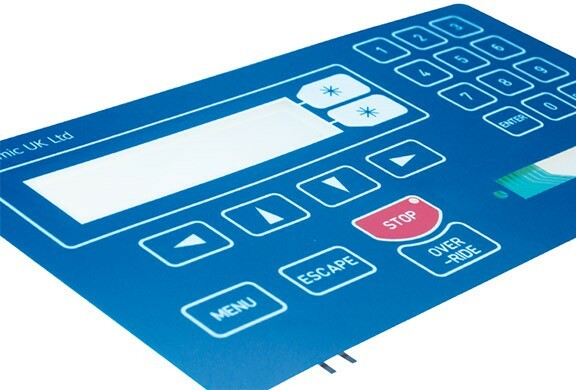 The PCB measures 80x42mm and can be rear mounted to a custom front panel membrane keyboard PCB (type up to 9 keys and up to 5 LED indicators). MKC started to source components at the initial hardware design stage to ensure that no long lead time components were being designed in. 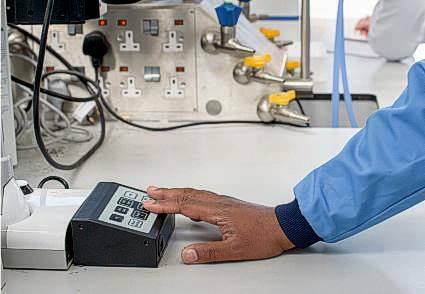 By coordinating the manufacturing phase whilst product development was underway we were able to deliver productio hardware at the 12 week deadline. Our solution uses a high-performance, low-power DSP based system capable of reading and decoding the .MP3 input dat astream at high bitrates. Using an 18-bit over sampling, multi-bit, sigmadelta digital to analog convertor at the output stage ensures a high quality stereo audio output with no phase error between L/R channels. 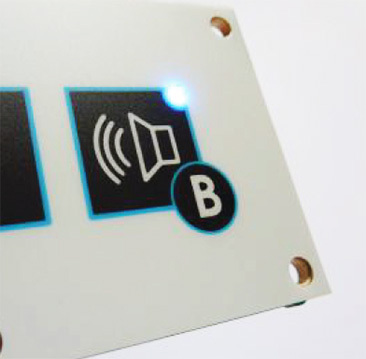 Software controlled volume levels for L & R outputs is supported if needed. 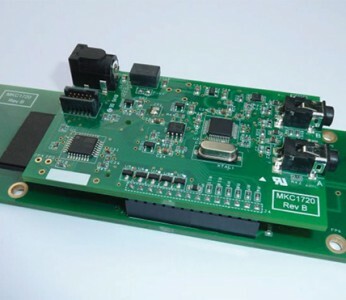 An Atmel AVR single chip processor takes care of the user keypad inputs, LED indicators on the front panel, control of the decoder and output audio signal routing to one of 2 stereo outputs. Source files are encoded in Mp3 format (up to 320k bit rate), Also supported: WMA, AAC, AAC+, Ogg Vorbis, FLAC and MIDI A Standard size SD card socket fitted on the PCB, supporting FAT16* (*NTSC file format not supported). Power requirement – 5v D.C (An on board regulator provides the 4 different voltage rails required and a voltage monitor ensures that the unit will always reset reliably after a power rail interruption). Information provided as an example only, most solutions are custom designed for your application so please get in touch for more in depth technical information or a quotation for a particular project. 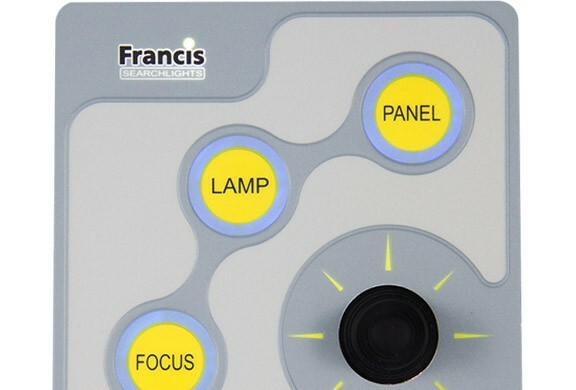 MKC were approached by one of the UKs leading marine searchlight manufacturers to produce their next generation interface. The assembly would be fitted within commercial and naval bridge consoles and through close collaboration at the design stage MKC were able to offer practical solutions to key customer requirements. The project required full concept, development and prototyping prior to MKC being awarded the contract for volume manufacture. Customised RGB LED light tile set with light emission controlled by the customers hardware. 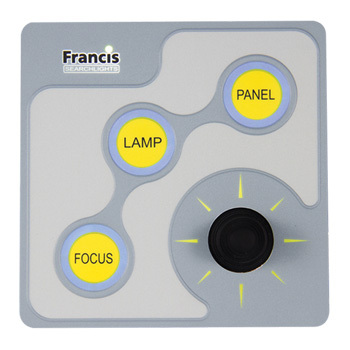 Designed to fit around board furniture and mechanical components in order to best use the available land on the PCB. Further enhancements to the light effect were achieved by adding selected tinting and secret-til-lit prints to the graphic overlay. MKC recommended Autotype XE to manufacture the graphic overlay. Autotype XE is a polyester substrate with embedded chemical additives which provide resistance in hostile environments. This offers a longer life expectancy for the product and reduces the likelihood of failure in the field. PCB based membrane keyboard acting as both a backplate and providing land for electronic & mechanical components. 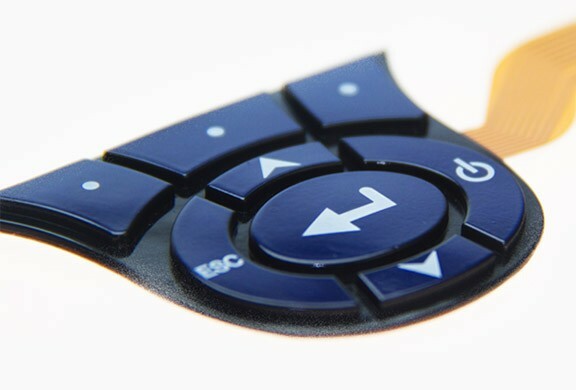 Rim embossed key locations fitted with 350gram operational force tactile domes allow for location with finger and positive response once actuated. 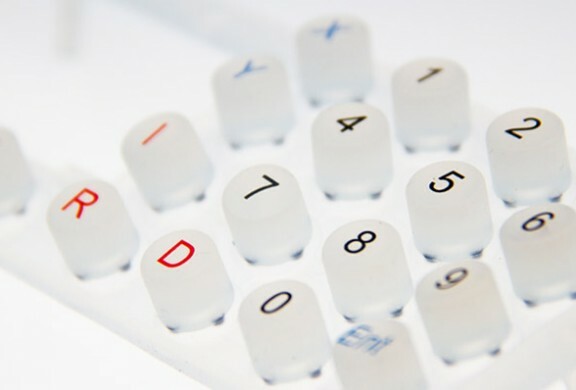 In house Technical expertise allowed us to carry out the development of the three key pre-manufacturing processes (Membrane Keypad, Enclosure, Electronics) simultaneously to provide a rapid prototype turnaround and so we could identify any faults and make improvements prior to moving to volume manufacture. Find out more about how MKC and Electronicase can help you.